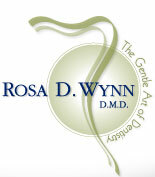 Dr. Rosa Wynn is a different kind of dentist. Gentle, patient and caring, she takes the time to provide you with the best care possible. She is also well regarded by her patients for her thoroughness. Rather than being rushed, you know that she is there to serve your needs. Dr. Wynn attended the University of California at Irvine before receiving her Doctorate in 1996 from Tufts Dental School of Medicine in Boston, where she earned several prestigious awards for excellence in dentistry. She is dedicated to advance, postdoctoral study and provides her patients with a gentle, caring, comprehensive approach to oral health. 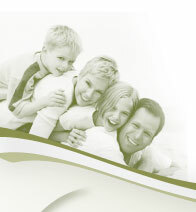 She believes in conservative, preventative dentistry, and her goal is to increase the longevity of her patient's teeth. Dr. Wynn and her husband reside in the Bay Area. Her hobbies include hiking, tennis and cooking. She also volunteers her time and dental skills to help children in need. She loves working with children and has been an active participant in the ADA Give Kids A Smile event.